Hi lovelies! I’m finally ready to share with you all about my teeth whitening at home experience. And I really hope it will help you, so make sure you leave me your questions and impressions in the comment section below. The thing is, I never had that Hollywood smile that everybody dreams about. 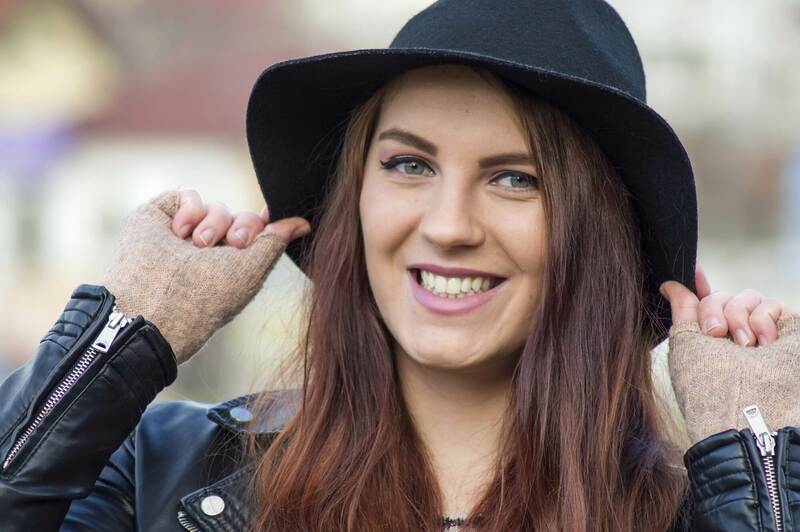 My teeth had a pretty normal color when I was a teenager, but that started to change (for the worse) over the years, even if I hadn’t make any major modifications in my oral hygiene routine. I did take care of them, but probably not as much as I should have. I also smoked for many years in college; I consumed huge amounts of coffee, wine and sugar all the time, so my teeth were really affected. I recently decided that I need to make a change, to do something about it and stop complaining. I was planning to go to the dentist for a professional whitening, but eventually I changed my mind. It was way too expensive for my budget, especially because I had some cavities to solve as well, and I thought it’s better to take care of them first. Not so long ago, I saw an ad on my Facebook timeline for some whitening strips, and I remembered that several beauty bloggers were promoting them last year (and they seemed to be very excited about the results). I did a quick research and I found a lot of good reviews, so I thought I should give it a go. 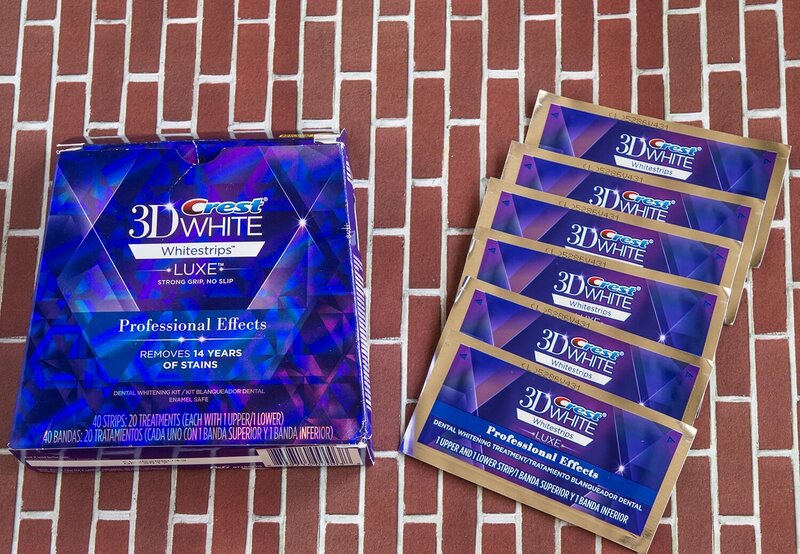 These 3D Crest White Whitestrips can be found in a few different versions (Express, Gentle Routine, Classic Vivid, Flexfit and more). You can see all the options available on their official site. And they seem to be very famous all across the world, especially in the US. However, I also found them on a Romanian website called Albirea-Dintilor.com, and I was very happy about it. 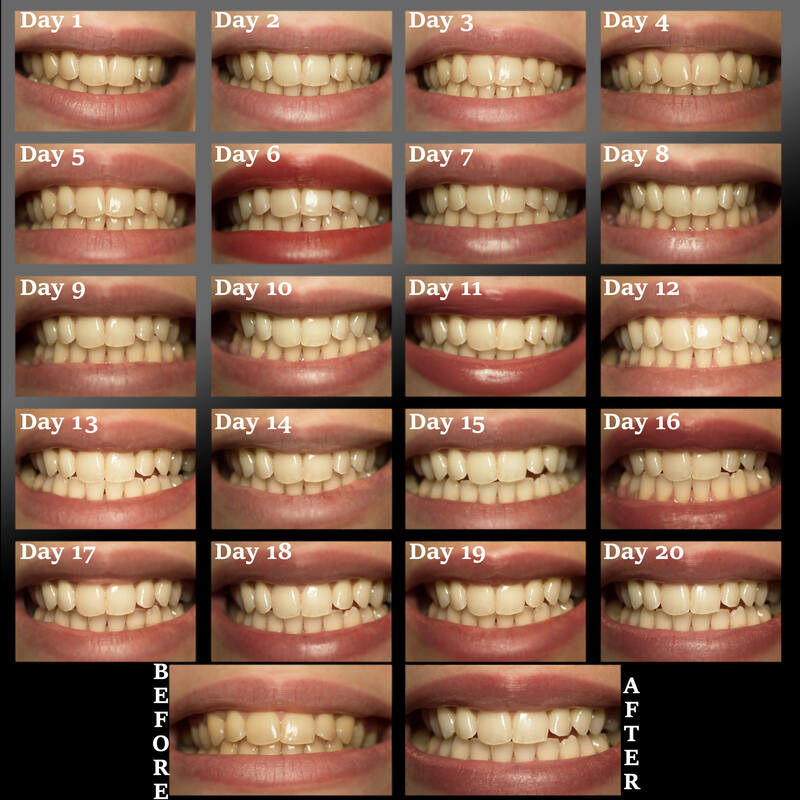 I got the Professional Effects kit, which promised beautiful white teeth in 20 days (and 14 years of stains removed!). I paid 339 RON for the strips, plus 20 RON delivery cost, and the package arrived the next day after placing the order. There are 20 small envelopes in the box, and each one of them contains two strips (for both upper and lower teeth line). You need to keep them on for 30 minutes daily. During these 30 minutes, you are not allowed to eat, drink (anything else but water), smoke or sleep. I applied them on my teeth in the evening, while watching a movie or stalking people on Snapchat, but you can also do it at the office, in the car, before bed, or anytime you want. The Crest White treatment uses the same enamel-safe teeth whitening agent as dentists use. The strips I picked have 10% Hydrogen peroxide, which means that if you have very sensitive teeth, you should probably pick a lighter version (e.g. the Gentle Routine one). Also, the Advanced Seal Technology no-slip grip makes sure that the strips are well-stuck to your teeth, so they don’t slip (also, they are oddly quite comfortable). Same as with any other whitening method, your teeth will get sensitive in this stage, and they might hurt a bit. I was expecting this in the first few days of treatment, but I had no issues until day 10. Days 10-13 were the worse, I couldn’t eat anything too hot or too cold. Luckily, everything came back to normal in day 14. It’s worth mentioning that during these 20 days, I used the Lacalut Sensitive toothpaste, so this might have helped protect my teeth. The results were amazing from day 5, I actually noticed a big difference in color, so I was convinced that this will work. At the end of the treatment, my teeth were very white, so I can confirm that I made a good decision by buying the 3D Crest Whitestrips. I already got some nice compliments, I am smiling a lot more often, and overall it changed my attitude and increased my confidence a lot. I had a great experience, and the best thing is that the results will last at least 12-18 months from now on. I am doing my best to keep the white by using a special toothpaste from Pearl Drops. What can I say, it’s not a super-cheap method, but it’s a lot more affordable than doing it at the dentist. Also, it’s proved to have extraordinary results, so I am very happy with the purchase. It’s a safe process for teeth whitening at home, and will help you achieve that much-desired beautiful white smile. If you don’t like the idea of waiting 20 days, the Professional Effects might not be the best for you. There are also some quicker options to choose from, like the 1-Hour Express. Hi guys! I recently used these whitestrips again, for an 8-day treatment. So I did a whole video about the experience, about teeth sensitivity, how to use them, and a bunch of tips & tricks I didn’t mention in this article. You can watch it here. 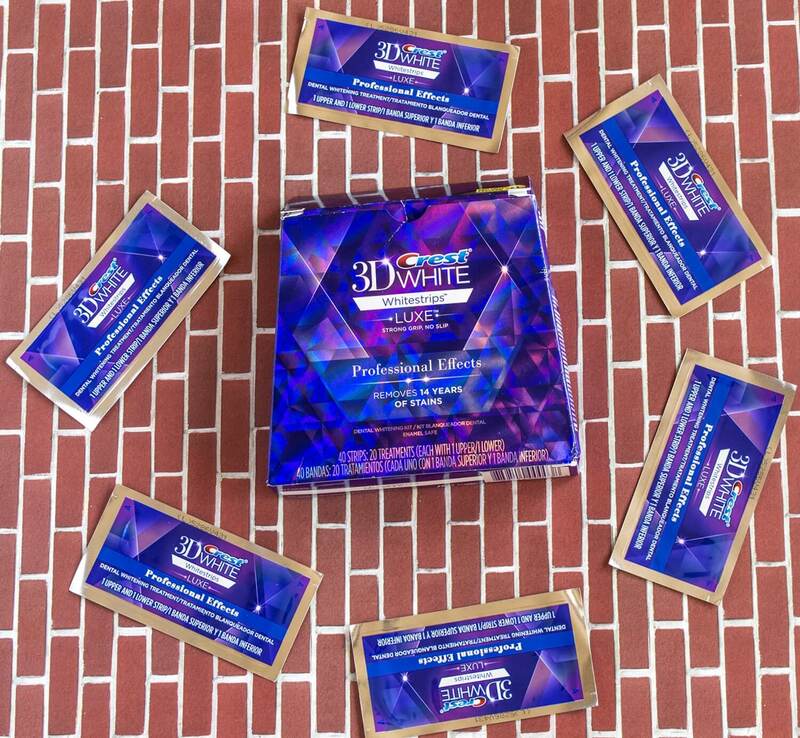 Did you use the 3D Crest White Whitestrips before? What was your experience? Or what else would you like to know about them? I’ve never used these before, but they look like they actually work and that’s amazing! I’m a bit scared of smiling as well because I hate how not white at all my teeth look, but I’ll definitely look into this. Wow, I’m amazed! Wauw your teeth look amazing white! I did use some whitening strips too and for me it worked out great too! And I could immediately see a little difference. You’re way braver than I am. I couldn’t even last a week. By day 5 I was starting to get these terrible pangs of pain randomly. It was definitely not worth it. You might want to try cutting the strips in half, so only covers the front of your teeth and doesn’t fold over to the other side at all. In addition, I usually wait a day or two before I put on another one. This worked for me with no pain where I had random shooting pains from the other crest white strips from using them every day without cutting them.